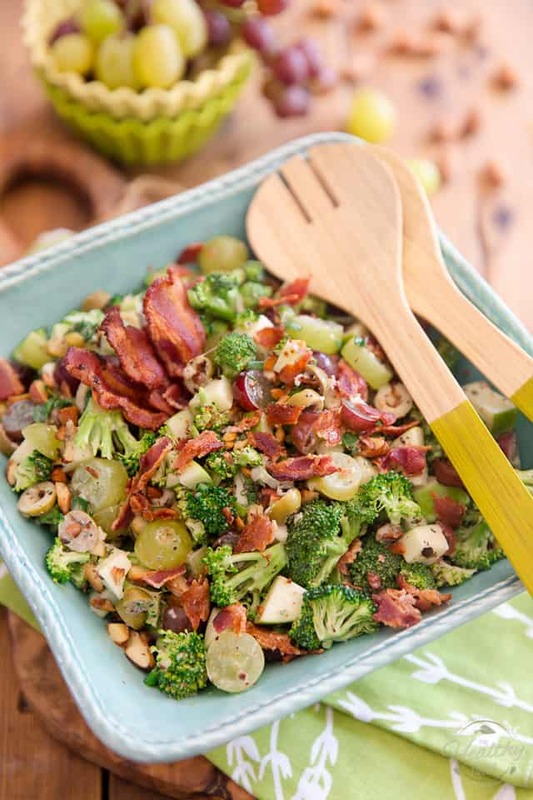 You won’t believe the amount of flavor that this Broccoli Grape Salad boasts under its hood! In fact, it tastes so good, you’ll have a hard time believing that it also happens to be good for you! 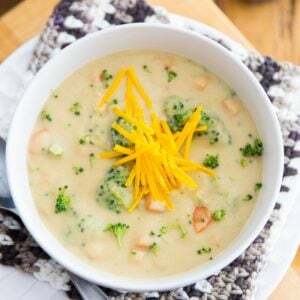 And broccoli might very well become your new favorite veggie. Okay, so I’m giving you yet another salad recipe today… I feel I’ve been doing a lot of those, lately. But this one? You’re probably gonna want to marry me for it. Well, alright, maybe not marry me, but make me your bestest best bff in the whole wide world for the rest of your life! Cuz really, this salad, it’s so good, it almost tastes like candy! 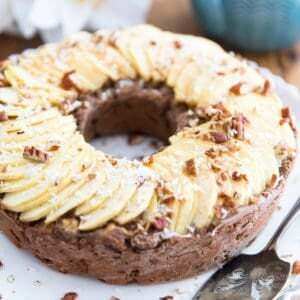 It has SO MUCH flavor to it, your taste buds will get bombarded with all kinds of sweets and tangy and salty and smokey and crunchy and nutty and everything in between! Seriously, as soon as you grab the first bite, you won’t be able to believe that something so delicious can actually be good for you! Yeah, I know, some of you will argue that “the recipe calls for bacon”, but really, if you’re not a fan and prefer to abstain, well by all means, just go ahead and simply omit it. I can guarantee you that the salad isn’t even going to suffer from it one bit. If you do want to add it, though, then cooking 4 to 6 slices of bacon until it’s nice and crispy is the fist thing you’re gonna want to do. 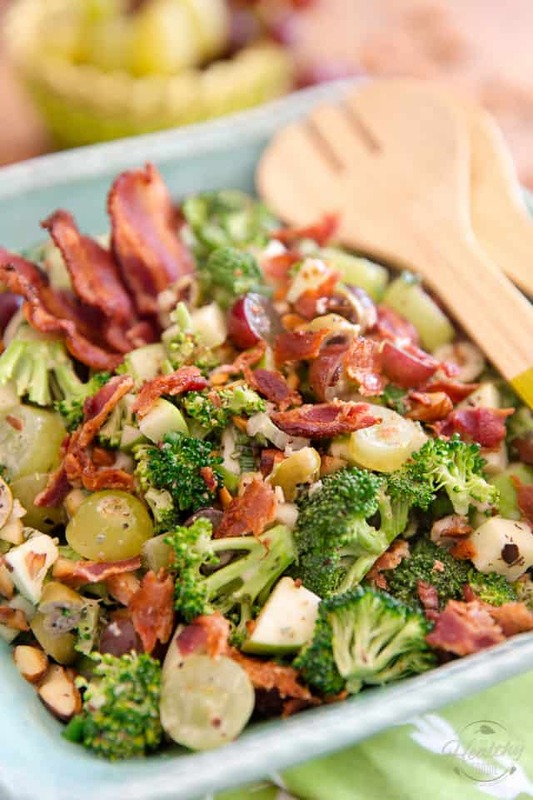 Then you’re gonna want to prep your broccoli, apple, grapes, olives, green onion and almonds and throw all of that in a large mixing bowl. 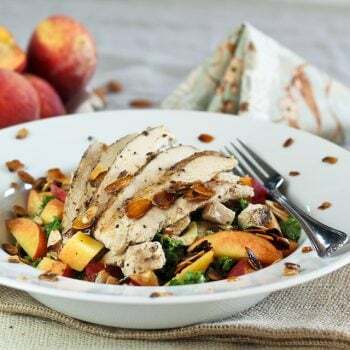 If your almonds aren’t already roasted, be sure to chop and toast them quickly in a dry skillet before adding them to your salad. Trust me, this does TONS for the overall flavor of the finished product. All that’s left to do now is give everything a quick stir and, if you’re not gonna do the bacon, your salad will be good and ready to serve! If you do want to splurge a little, just break those crispy slices of bacon into tiny little pieces and sprinkle them right over your finished salad. Talk about taking things to the next level! Before you go to town, though, I do recommend sending this bad boy for a quick trip to the fridge, to allow all those beautiful flavors to meld and make friends! That’s only if you’re patient enough and have a little time to spare. If not, don’t sweat it: the salad will still be blow-your-mind tasty just as it stands now. 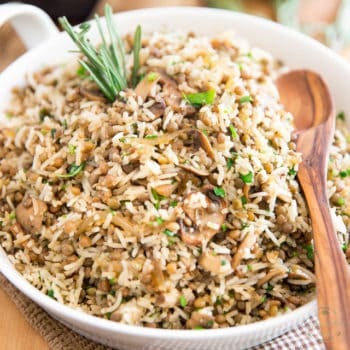 And should you be lucky enough as to generate leftovers, you’ll be happy to know that they will keep well in the fridge for a good 3 to 4 days. If, of course, you manage to even keep them that long… All I can say is: good luck with that! 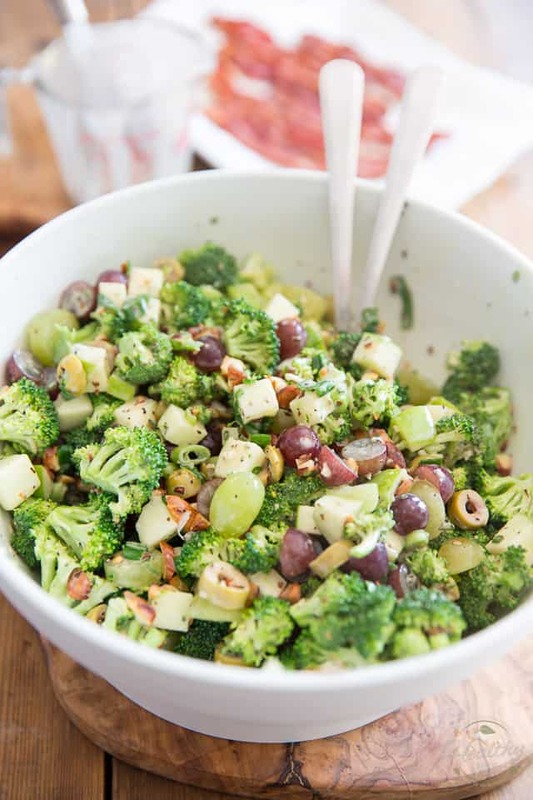 In a large mixing bowl, combine the broccoli florets, green apple, green and red grapes, green onion, toasted almonds and green olives; set aside. 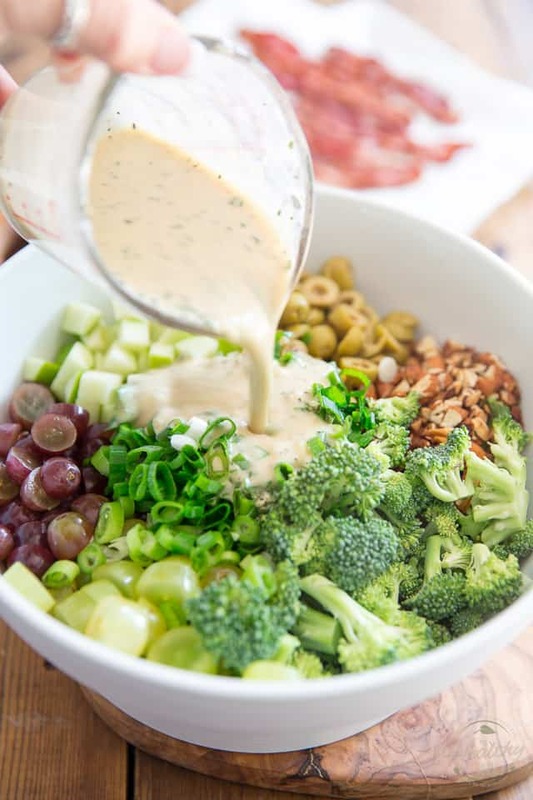 In a separate container, combine all the ingredients for the dressing and whisk until smooth and creamy. Pour over the reserved salad and stir well. 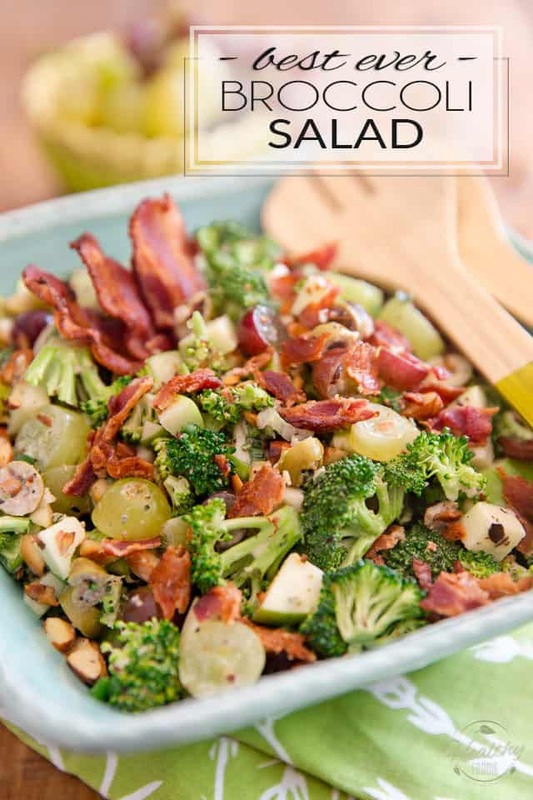 Break the slices of bacon into tiny pieces and sprinkle over the salad, if desired. 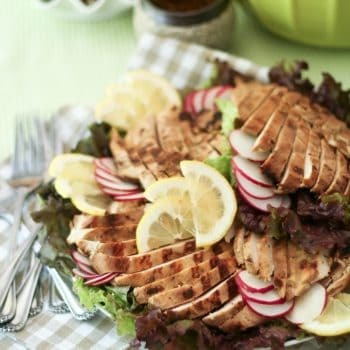 This salad will keep in the fridge for 3 to 4 days in an airtight container. 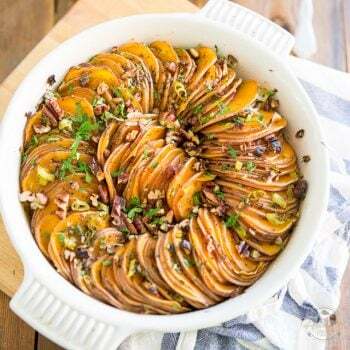 *If your almonds aren’t already roasted, chop them and toast them in a dry skillet set over medium-low heat, until slightly golden and fragrant, then set them aside to cool slightly. Very colorful and tasty looking. Ooh that sounds awesome! I’m so glad you enjoyed!